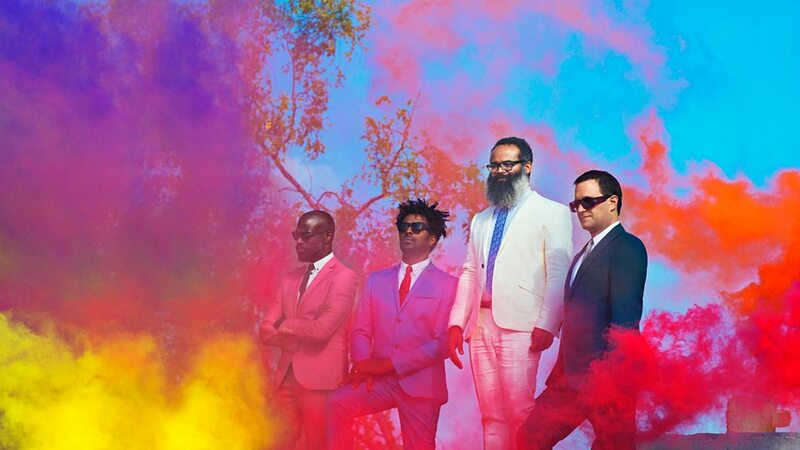 TV on the Radio is an American indie rock band from Brooklyn, New York, formed in 2001. 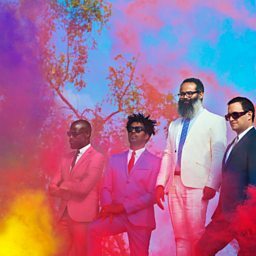 The band's core members include Tunde Adebimpe (vocals, loops), David Andrew Sitek (guitars, keyboards, loops), Kyp Malone (vocals, guitars, bass, loops) Jaleel Bunton (drums, vocals, loops, guitars) and Gerard Smith (bass, keyboards, loops) until his death in 2011. 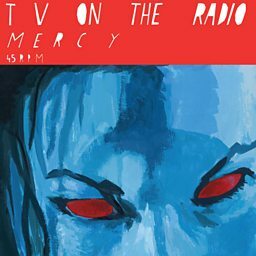 Other contributors have included David Bowie, Nick Zinner of Yeah Yeah Yeahs, Trent Reznor of Nine Inch Nails, Kazu Makino of Blonde Redhead, Martin Perna of Antibalas, Colin Stetson, and Katrina Ford of Celebration. The group has released several EPs including their debut Young Liars (2003), and five studio albums: Desperate Youth, Blood Thirsty Babes (2004), Return to Cookie Mountain (2006), Dear Science (2008), Nine Types of Light (2011), and Seeds (2014).